In many churches, teachers are in short supply. Evidently many who have the Spirit-given gift of teaching are not using it as they should. On the other hand, a Christian must never assume the role of teacher without clear leading from above. As the teacher of the early Jerusalem church wrote, “My brethren, be not many masters, knowing that we shall receive the greater condemnation” (James 3:1). Christ taught in our text that by our words we shall be judged and either justified or condemned. Since for “every idle word that men shall speak, they shall give account thereof in the day of judgment” (Matthew 12:36), how much more so will the words of a teacher be scrutinized, especially a teacher of the Word of God. Another reason one should be slow to don the cloak of a teacher is that even a teacher finds it hard to live up to his own teachings. “For in many things we offend all [better, ‘we all stumble’]. If any man [stumble] not in word, the same is a perfect man” (James 3:2). Speaking of the Jewish teachers, Jesus instructed His listeners to do what their teachers said, not what they did (Matthew 23:3), and then He condemned hypocritical teachers with seven stinging “woes” (vv. 13-33). The proper use of the teaching gift perhaps yields greater honor than most but also greater condemnation if error or hurt creeps in. The church does need all the gifts and should not neglect any genuinely Spirit-given gifts of its members. 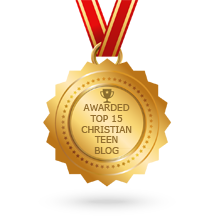 This entry was posted in A CLICK A BLESSING TODAY, CHRISTIAN NUGGETS and tagged The Teacher and His Words. Bookmark the permalink.